The idea of being system administrators of our own digital lives discussed in the Campbell and Chambers pieces holds such amazing promise. What I want to know is, does it deliver? and the answer for me so far has been, not so much. I had space on a static website when I came to UMW in 1999. I posted my CV, course syllabi, and some personal information and pictures of my family. I’ve had two previous blogging experiences — one personal and one professional. I like to blog; I like to write — I start out strong, but then eventually run out of time and steam and the blog suffers. The point of debragump was to blog about running, keep track of my progress and interesting (ahem…) insights, and also offer a place to encourage people to join me. People liked to contribute where they had seen me all over town, also. I posted approximately once a month for several months, which died down to once a month, and then not at all for several years. (Of course, it should also be noted that my running has lost steam over time — but no matter). I also had a blog for my URES course, which was effective for the purpose (to store general information about the project, research archives, and a bibliography) but the students I was working with — who asked for the blog — didn’t post anything, and it remains now merely a repository, should anyone ever be interested in that project. 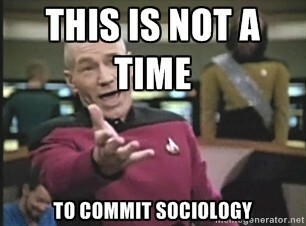 Likewise I started out strong with intentionalsocioology.org. Best of intentions! I really wanted to get the word out there, post examples of intentional sociology, try to get a movement going (maybe my expectations were too high…). Life intervened: my husband had a stroke, and I found myself with no free time at all to blog (I did think about a stroke progress blog, for all those with questions — “Hey, look at the blog for updates!”, but I decided he might not appreciate that). Finally, I guess one can say that I run — rather ineptly — the UFC wiki. The promise of blogging (and DoOO) — and what I can do with it — also reminds me of learning how to use Qualitative Research data analysis software system (like Dedoose) in graduate school while writing my dissertation. Presumably the programs have improved over the years (I do statistical analysis right now), but in the past QRM involved reading through hundreds of pages and coding using color schemes, notes, etc. Some sociologists just literally cut and pasted strips of paper (or did the same within a WP program, which is what I did). It seemed such a process could be automated, but whenever I looked into a program it never seemed to reduce my workload any further, then what I was currently doing — looking for and marking patterns. It was a different holding system for the same process, although it probably would have made searching for key words easier. What does it bring me? Why is it worth the investment? The point is, others have the same questions, maybe our student do, maybe everyone does. We were asked to think about blogs we would model ourselves after — one example I love is Philip Cohen’s blog “Family Inequality.” He blogs daily about demographics and political arguments related to the family. It serves as both an objective reporting of sociological information and a political platform decrying the family value objectives of less scrupulous researchers. It’s also just a great place to go as a source of information. To make this work for me, I’d have to blog every other day, probably, but I can barely manage to do what I need to do now — teach, run, manage my department, keep meals on the table, take my husband to his doctor visits. How do I find time to blog also? I have discrete chunks of time, and everything happens with an immediacy: what must be done right now (and NOT because I am a procrastinator. I need that time to just noddle around and learn new things. But trying to find the time, even imagining trying to do this, makes my head hurt. This entry was posted in Faculty Initiative on February 3, 2014 by admin. Don’t beat yourself up, Debra. Give it another try and maybe you’ll find that DOOO is the catalyst you needed. I’ll look forward to seeing your next post. The only way to make blogging work for you, is to build it into your work. Make it part of what you would do anyway. Take notes about articles you read, update your work, and narrate your professional presence. Does it take time? Definitely. Might you not have time? Sure, and liek Steve said that’s fine. But at the same time a site isn;t only a blog, it can also serve as a space to capture your work that you update at regular intervals every few months. The site is what you want it to be, blogging may not be it, and that not really an issue. The larger idea of Domain of One’s Own is that it is actually a hell of a lot easier to manage this space than it was 10 years ago, and writing a bog post is no more difficult than writing an email. It’s just imagining how you can build it into your workflow, reach out to a network of disciplinary professionals, and start to use the web as a space to make the little time you have to do everything you need to do that much mroe valuable and rich. Good points. Thanks for the encouragement!